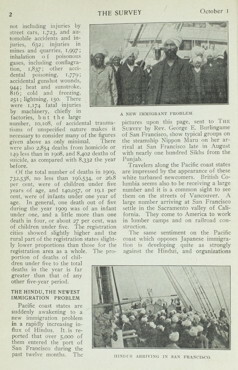 October 1910 article in The Survey reporting on the influx of "Hindu" laborers on the Pacific coast. The article mentions that an estimated 5,000 Hindus had entered San Francisco during the past twelve months. 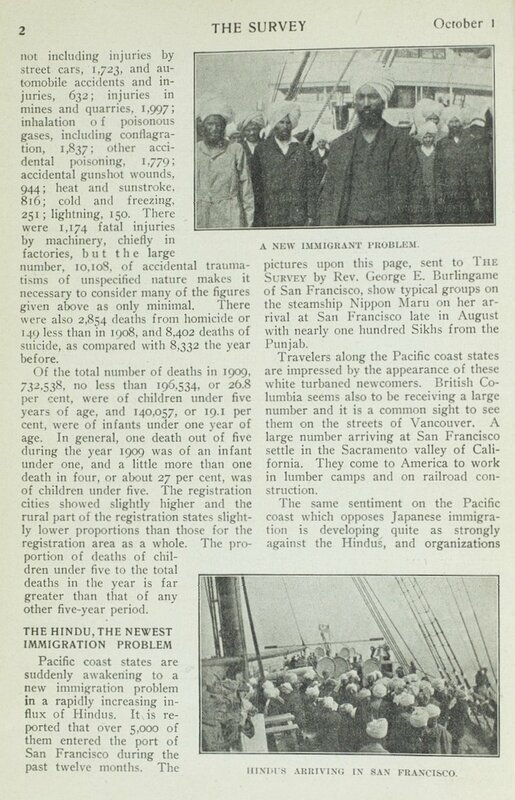 The reaction to newcomers, the article explains, is a mixture of fascination with "these white turbaned newcomers" on the Pacific Coast, and racial antagonism in line with the anti-Asiatic sentiment against Japanese immigrants. The article cites two problems associated with the Hindu newcomers, as seen by Rev. 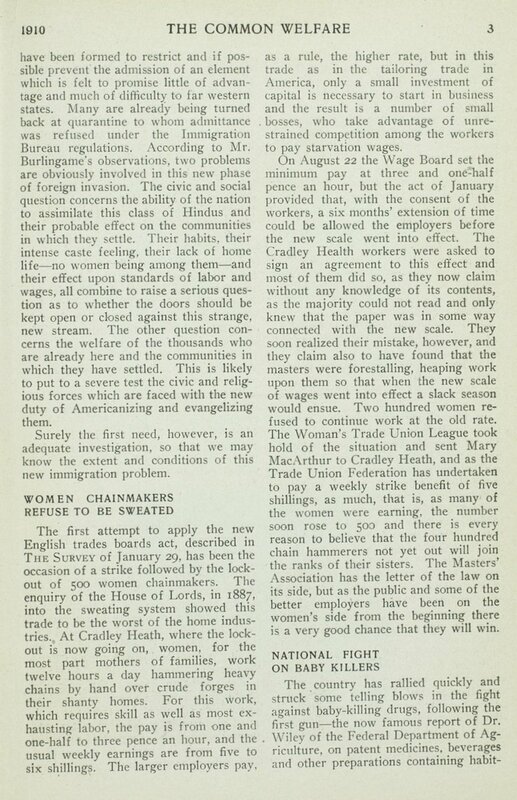 George E. Burlingame of San Francisco: "The civic and social question concerns the ability of the nation to assimilate this class of Hindus," and secondly, "the welfare of the thousands who are already here and the communities in which they have settled." Burlingame provides two interesting photographs of Sikhs on the steamship Nippon Maru on their arrival to San Francisco in late August that year.